This summer the Hollywood Bowl Orchestra, under the baton of maestro John Mauceri, featured the world premiere of Irving Berlin's "Patriotic Overture," arranged and orchestrated by Sid Ramin. This new piece was created in response to the overwhelming requests for more symphonic Berlin material. "'Patriotic Overture' represents just one corner of Berlin's output, and pays tribute to his patriotic fervor and support of the Armed Forces," says Mauceri. "I'm proud to have been instrumental in making an orchestral work of Irving Berlin possible." The commission was created through a partnership of the Hollywood Bowl Orchestra, The Rodgers & Hammerstein Concert Library, and the "God Bless America" Fund. The "Patriotic Overture" was one of the highlights of the Bowl's Independence Day concerts. "We're happy to say that the audience (some 50,000 on July 4th) gave it the rousing response we'd hoped for," says Mauceri. The overture includes "This Is The Army, Mr. Jones," "Oh, How I Hate To Get Up In The Morning," "God Bless America" and MISS LIBERTY's "Give Me Your Tired, Your Poor." The Hollywood Bowl concerts also included "The CALL ME MADAM Dance Suite," reconstructed from orchestrations for the 1953 film version, premiered by the Bowl during their '93 summer season, as well as two sets of songs from Berlin's Broadway and Hollywood masterpieces, performed by Patti LuPone and her appropriately named backup quartet, The Mermen. "Patriotic Overture," "The CALL ME MADAM Dance Suite" and two other orchestral Berlin works were recently recorded by the Hollywood Bowl Orchestra for Philips Records. 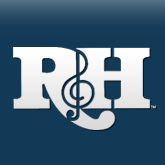 "Patriotic Overture" is now available for rental from R&H, with "The CALL ME MADAM Dance Suite" following soon. One of the crowning moments in the current Broadway production of Rodgers & Hammerstein's CAROUSEL is the stunning Act II ballet, built on themes from the "Soliloquy" and "If I Loved You." A selection from the "Pas de Deux," orchestrated by William Brohn, receives a glorious rendition on the newly-released 1994 Broadway cast recording, and now joins "The Carousel Waltz" in our repertory of orchestral pieces available from CAROUSEL for performance. Mark your calendar: 1995 is the centennial year for both of Richard Rodgers' best known creative partners, Oscar Hammerstein II and Lorenz Hart (see story on pg. 5). With Hart's birthday falling on Tuesday, May 2, and Hammerstein's on Wednesday, July 12, the timing is perfect to highlight their works as part of a summer pops evening. A special new Hammerstein package, featuring his song collaborations with Rodgers, Jerome Kern and Sigmund Romberg is now available, as is a Rodgers and Hart evening featuring such songs as "My Funny Valentine," "Bewitched," and "Where Or When," plus highlights from "Slaughter On Tenth Avenue." The Baltimore Symphony Orchestra and Chorus recently premiered a new Kurt Weill concert entitled BILBAO TO BROADWAY, an evening of theatre songs devised by Kim Kowalke, President of the Kurt Weill Foundation. David Zinman conducted the original Weill orchestrations. Six soloists, including Tony Award winner Judy Kaye, sang the lyrics of a wide array of Weill's collaborators: Maxwell Anderson, Bertolt Brecht, Ira Gershwin, Langston Hughes, Alan Jay Lerner and Ogden Nash. Among the selections were songs from the rarely heard FIREBRAND OF FLORENCE and MARIE GALANTE. Plans are underway for The R&H Concert Library to license this package for rental, in connection with European American Music Corporation. 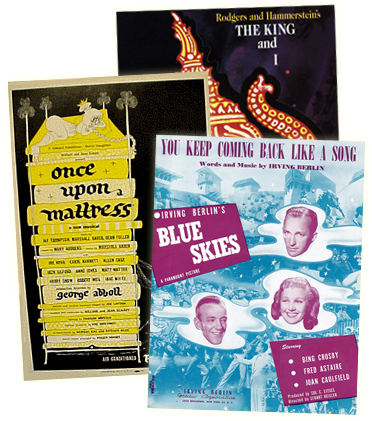 Contact The Rodgers & Hammerstein Concert Library at 229 West 28th Street, 11th Floor, New York, NY 10001. Phone: (212) 268-9300; Fax: (212) 268-1245.